The famed fashion designer listed his West Village home after getting married to his longtime boyfriend and just weeks after buying a Frank Lloyd Wright-designed house in Rye, which is located north of New York City. Jacobs told Women's Wear Daily about his move in February. He said "I'm 55 years old, I'm getting married...This feels like really a new chapter. Allure reports . 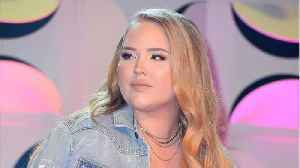 YouTube beauty vlogger and recently-appointed Marc Jacobs Beauty global artistry advisor Nikkie de Jager, more commonly known as NikkieTutorials, posted a new video on April 20 that.. In case you missed it, here's what's trending right now: Sophie Turner steals the show at Jonas Brothers surprise gig at college bar, Cardi B feels "trapped" and "sad" by pressure to be a role model..